The BTFreq™, FM transmitter allows you to play music through your car stereo from your iPod or iPhone. The innovative design of the BTFreq lets you charge your Smartphone while you play music or take calls. 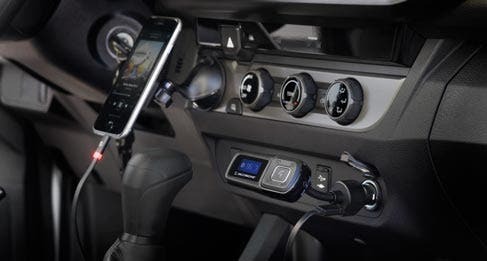 Wirelessly transmit your music phone calls and more through your vehicle's FM radio via Bluetooth. If your device does not have Bluetooth an aux port is available. Charge your device with the built-in illuminated USB port. The port provides you with 2.1A which allows your smartphone to charge safely at its fastest rate possible. Easy to use, although it's a little muffled sounding on the receiving end of the phone call sometimes.overall I'm satisfied. I bought this one for my daughter because of the good reviews. She called me as soon as she installed it to say she loved it and how easy and simple it was to use. However, i lowered one star because I bought in a Black Friday deal and I see it's cheaper at other stores so I am slightly bummed! Works great for if your car doesn't have an aux port and works for any car. After purchasing two other Scosche FM transmitters because they were cheaper, I have to say this one is worth the money. There's no static, and you really don't have to look at your phone. Picking up calls with just one-click, and having aux and usb ports...it has it all. However, I have read the whole manual, and I can't seem to find a on/off button...not even in the remote. Thus, leaving me with the only option to take it off all the time as I get off my car, which in the long run will damage the 12V connection. Good product, nonetheless. P.S. 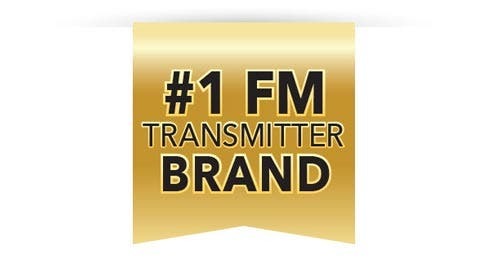 Do not purchase wired FM Transmitters, they don't last long. I have bought more than 4 in a 3-year period. Go wireless. This is amazing!! I was gonna change my head unit on my Honda Accord until I found this product, works great so far...!! I was considering replacing my head unit in my van just to be able to play music from my phone. I had bought a headphone/FM unit 30 minutes before seeing this one at Walmart. Now I can do everything with my phone that you can do with a modern blue tooth enabled car. Sweet ! Nicely done folks !